​Make plans to join us for this family-friendly event to celebrate our local wildlife including the endangered Florida panther and make sure to like us on Facebook. ​Please download the flyer and post it to let others know! ​Free Admission for Collier Residents: November 2 is a Naples Zoo Free Saturday for Collier County residents. Just bring a driver's license with a Collier County address or other proof of residency. 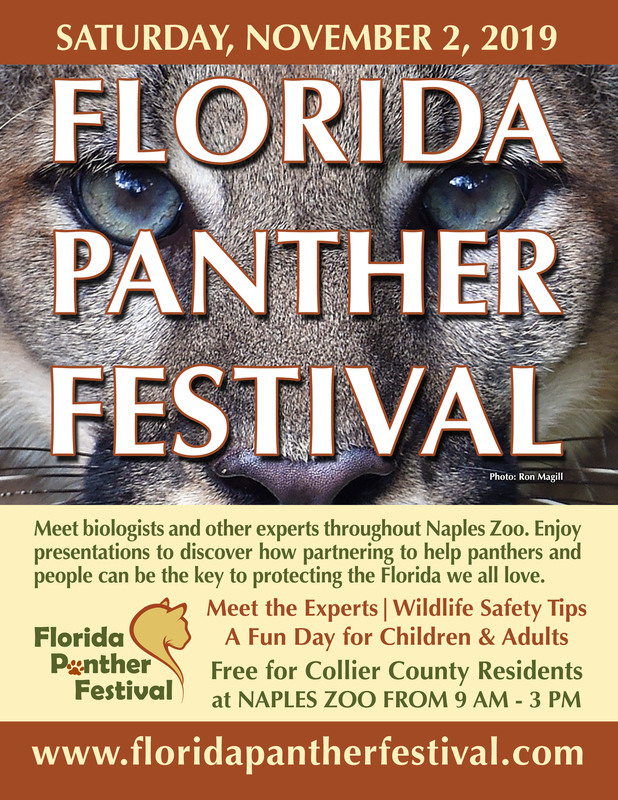 The Florida Panther Festival welcomes three to five thousand guests each year at Naples Zoo. Along with all regular zoo activities including see a living Florida panther, guests enjoy outdoor exhibits by area conservation partners, fun activities for kids, and practical talks about living with wildlife presented by experts. Thanks to all who visited and our many sponsors and partners! Thank You to Last Year's Cash/In-Kind Sponsors. Become a 2019 Sponsor! In addition to our natural partners who insure the success of the festival through staff, resources, and in-kind support, we could not achieve our conservation goals without the following cash sponsors. See how you can sponsor the 2019 Florida Panther Festival.